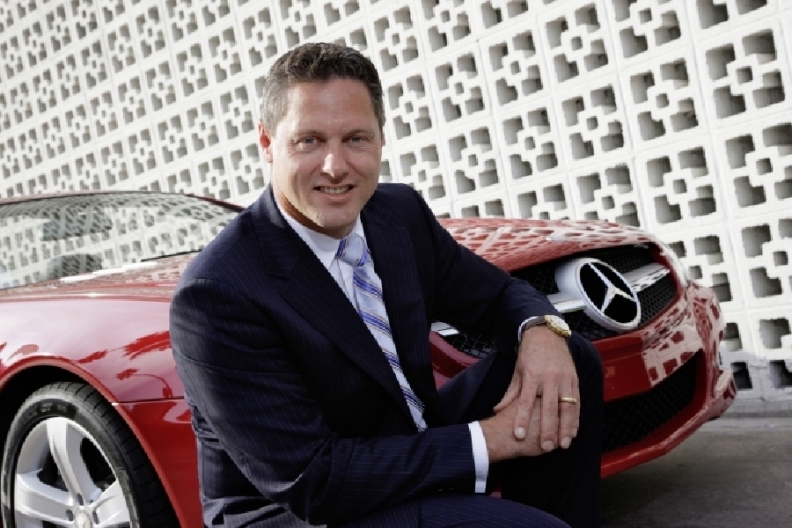 Mercedes chief designer Gorden Wagener is looking to strengthen his global team. Mercedes-Benz wants to strengthen its global design team by adding people to fill specialized roles and hiring new stylists in China. "We still certainly need a few people in the area of graphics development and implementation quality," Mercedes chief designer Gorden Wagener, 42, told Automotive News Europe without revealing how many specialists he wants to hire. He did say that Mercedes wants to create more than two dozen jobs in China. "We are looking for a full-sized studio that ought to be as large as our U.S. studio, meaning it would house 30 people," Wagener said. "In Tokyo, we will keep our 20 people and perhaps give them other work. Interior and graphics design especially plays a major role there." About 590 people work in the Mercedes design department. Of that total, about 430 are based in Sindelfingen, near Stuttgart, while more than 100 designers are located in the company's four other car styling studios around the world, Wagener said. Those studios are in Carlsbad, California; Lake Como, Italy; Yokohama, Japan; and Beijing, China, which currently is nothing more than a small office. Globally, the Mercedes truck group also has 60 people working on design. "Compared with the competition, we have the most employees in design," Wagener said. Rival Audi says it has about 200 people on its design team while another 30 stylists work for sister brand Lamborghini or on auto accessories. BMW's design team has 450 people, which includes stylists responsible for the BMW, Mini and Rolls-Royce brands as well as its California-based DesignworksUSA unit. Daimler also wants to be on the forefront of offering Internet applications for the automobile. Said Wagener: "We have our own telematics research and graphics pre-development operation in Palo Alto (California). In addition, we can imagine developing a so-called 'Mercedes App Store,' with apps that make the life of the Mercedes driver even more comfortable." He said that there would be service apps that bring customers closer together with the company. However, the design chief declined to say when the apps would be launched. "It will take a while before we bring this into cars across the board. The big issue here is the infrastructure. Without a data infrastructure that permits fairly high transmission speeds into the car, it's no fun and it doesn't make sense." Read more of the Gorden Wagener interview in next Wednesday's print issue of Automotive News Europe.